by Ciaran Dunne, stroke survivor. 1.I adapted the pursuit of my “3 P’s” – positivity, patience and perseverance. It is important that one maintains a positive outlook. This is because ABI patients learn to differentiate the mind from the brain and body. When the mind is negative the body follows accordingly. Brains can repair themselves through the power of positive thinking. Neuroplasticity demonstrates the remarkable adaptability of the human brain. It is important to embrace all that is positive in life be they people, challenges or situations. To do this one should make a genuine effort to get out of the house at least once each day, even if only for a short walk. Patience is huge. Expectations may initially be high but the reality, for most ABI victims, is that progress is extremely slow and therefore must be measured in months and years. Brain recovery is generally excruciatingly slow and frustrating. Retrospective comparisons with life before the ABI are very unhelpful and can lead to a depressive outlook. Instead, progress should be measured by comparison with life since the ABI. If one remains positive and patient the results of one’s perseverance will bear fruit. Progress for the first few years, especially in adults, is often significant initially and tapers off subsequently. However, through the process of neuroplasticity one can continue to challenge the brain to adapt to increasingly difficult circumstances. This undertaking of rigorous exercises (almost daily) takes extra effort and commitment but is rewarding, albeit slowly. A positive, motivated outlook, coupled with patience will reward those with the persistence and determination to continue their recovery. 2. Accept that depression is an almost inevitable consequence of an ABI. In fact depression is seen as a necessary step in the realisation of one’s predicament. Accepting and acknowledging depression can be difficult if one was reared in a sporting environment where the consensus was “have a few pints and you’ll snap out of it”. Depression feels like being in a dark hole from which it is very difficult to escape. It is important to give the body sufficient time to rest and grieve. Depression seems to be more frequent during the dark winter months or when one is off therapy. Anti depressants are often beneficial but their side effects can also have damaging consequences. Follow your doctor but try to wean off them when/if depressive symptoms subside. The SNRIs (anti depressants) act by increasing the levels of the neurotransmitters serotonin and noradrenaline in the brain. Spontaneous responses and/or emotions are not uncommon as the “moody” brain patiently rebuilds the circuitry required to keep these feelings in check. Try not to compare life with how it was before the injury. Instead compare it with how it was immediately after. 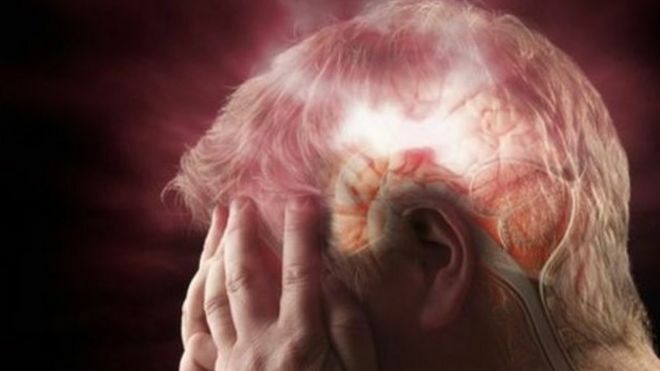 Omega oils are particularly good at targeting neurological illnesses. I have always regarded these capsules as a daily way of massaging my injured brain. However, omega oils (and ginger) have blood thinning properties! A recent newspaper article described how a patient successfully used the support of family/friends, a good night’s sleep, yoga, exercise/walking and meditation to help climb out of the trough of depression. 3. Address the mental side of things. A disproportionate amount of time is devoted to physical rehabilitation relative to mental wellbeing. It is important to realise that all ABIs result in some damage to neuronal pathways which will therefore affect your personality no matter how indiscernible. A neuropsychiatric examination is essential if one is to maximise the physical/body recuperation. Occasional impulsive behaviour was bothersome particularly after I left REHAB. However, with patience and time the rewired circuitry has made me less responsive and more tactful. Rebuilding a pause is not easy. The cessation of hospitalisation can be stressful as one tries to manage without the constant support of healthcare staff. Similarly the loss of independence can be daunting and emotional especially when one returns home. Inability to return to work can be crushing. Join a brain injury support group. Get professional assistance if you feel desperate. 4. Stress is highly destructive. Dr Aswad has indicated that stress can alter neurological symptoms after a stroke. Research at Princeton (Jacobs et al) has shown that stress is the greatest precipitor of depression. It may feel like a catch 22 situation with one feeding the other. Prof Bertalanffy is convinced that stress is the primary causative factor in the onset of cavernoma bleeds and re bleeds. From my experience his opinion is widely shared by the cavernoma community. His R&D team is currently actively researching this matter. The effect of stress is not only limited to the onset of the actual symptom(s) but also to the negative role it plays in recovery. For me the most immediate and significant effect of stress was unstable/wobbly balance (vertigo) and blurred vision. Stressful thoughts including anger, frustration and anxiety caused numbing of the affected limbs (progressively leading to deadening – setbacks/relapses), impaired hearing, facial twitching, increased muscle tone, headaches sometimes severe especially in the right temporal lobe, darting pains in vicinity of brainstem, intracranial pressure, heart palpitations, grating pain in right hip, piercing darts at back of right knee, fatigue etc. The onset of symptoms may be instant but the side effects can last for hours, days or even months. Setbacks/relapses can undo the neurological progress made with touch, grip and balance receptors. Stress management is critical to those patients hoping to recover from an ABI. Stress devours energy leaving one depleted. Stress suppression and expression are both potentially harmful. Avoidance of stressful situations (arguments, differences of opinion, upsetting ideas etc) with people becomes the primary solution if one’s recovery is to remain on a positive curve. Over sensory stimulation (distance and night driving, excessive background noise, concentration and/or eye strain reading/writing etc.) has a similar but significantly reduced effect as psychological stress. Over physical exertion may have side effects but they are usually fleeting unless one is already compromised. 5. Abstain from alcohol if cannot permanently restrict it to two units per social night. Alcohol consumption kills neurons in the cerebellum which coordinates movement (staggering drunks!). For ABI victims the effects of alcohol not only include a worsening of coordination but alcohol also inhibits several medications, exerts a strong depressive effect, weakens the immune system and has a dehydrating effect depleting the body of valuable energy reserves. Alcohol can be seductive. Its alluring qualities can override one’s best judgement. For ABIs one learns that some indulgences have a physiological price. Manage it or give it up. 6. Exercise daily. Walk outdoors and perform home exercises every weekday. Give your body a rest at weekends (or more often if necessary). Maintenance of aerobic fitness is essential for everyday life. Wii fitness is now a popular way of exercising indoors. 7. Listen to your body for signs of fatigue, exhaustion and “over doing it”. I used the increasing aggravation of tinnitus to call a halt to exercising but other indicators such as the onset of headaches, temporal throbbing, breathing difficulties, sensory overload, perspiration etc indicate that the body has had enough and needs to rest. I now use the symptoms of vertigo as a daily indicator of general wellbeing and my ability to (or not) engage in exercise. Pace yourself. Use gentle exercises and avoid strenuous workouts/weight lifting. This identification of your energy threshold is arguably the most important challenge for ABI patients as it requires much trial and error type scenarios. Knowledge of your energy tolerance is critical to determining what your body is now able to achieve. The battle between what your mind wants to do and what your body can do is constant. Enhanced understanding of one’s limitations may lead to a better undertaking of daily tasks. 8. Join a gym, health club etc. One can improve aerobic fitness by swimming, treadmills, exercise bikes, rowing machines and walking etc. Weights and appropriate exercise machines can be used, very slowly and gently, to build up one’s muscular strength. However, from my experience, by far the greatest improvements can be achieved through focussing on one’s core region which promotes stability, equilibrium, complete body strength, resistance and flexibility. 9. Perform exercises in the water. The buoyancy and support provided by water considerably reduces the pain associated with floor exercises. If required use the sides, steps, rails, inflatables to perform exercises safely. Be warned, you may look like a wally! People may have looked at me as if I was odd but having damaged my left hemisphere, in which the ego centre resides, meant that I was largely indifferent to their disapproval. 10. Eat a healthy diet and if suffering from a stroke lower your body weight to reduce the load carried by your unaffected hip/leg. 11. Exercise in the morning when your energy levels are greatest. Ensure that you eat a good breakfast with slow energy releasing foods such as oats, bananas, porridge, cereal, fruit etc. Keep the afternoon for less strenuous exercises eg. mental, arm, fingers etc. Take naps during the morning and afternoon and relax in the evening. Try to keep your eating in proportion to your subsequent energy demands. Therefore eat more in the earlier part of the day and try to avoid snacking at night. 12. Eat foods containing tryptophan – banana, yogurt/milk, turkey, meat to increase levels of the neurotransmitter serotonin. Serotonin promotes wellbeing and the feel good factor and is also known as the “happiness hormone” despite not being a hormone. The receptors for serotonin – 5HT are located on the paphe nuclei along the entire length of the brainstem. These foods can also be used to promote sleep. Vitamin B6 improves conversion of tryptophan to serotonin. Nerve cells are sensitive to citrus fruits, coffee, alcohol and excess salt. Employ multivitamins, tonics post ABI to increase and/or maintain your levels of essential metabolites. B complex vitamins are good for energy restoration and the nervous system. Glucosamine/chondroitin strengthens joints. Bob Casey (a professional rugby player with London Irish) writes a weekly column in the Irish Times. The similarity of our respective supplement intakes was remarkable. However I continue to give green tea (boosts energy) a miss! 13. Savour sunshine in moderation to improve one’s mood by stimulating serotonin release, increase vitamin D levels and the welcome inflow of fresh air. It is probably no coincidence that sun tanned people often feel good about themselves. I now relish opportunities to sit in the back garden enjoying the sun. Since coming home from the NRH I have begun to watch out for smiling sun symbols on the evening weather forecast. Being greeted by the bright glow of an invigorating sunrise is a good start to the morning. 14. Keep a daily diary – monitor your progress. Dr Delanty encouraged me to keep daily diaries (6 now) since relapse in Oct 08. They detail everything from medication, doses, symptom onset, energy levels, mood, stress, balance, exercises undertaken, vertigo, rest taken, types of headaches etc. By reviewing my diaries in detail I was able to retrospectively assign the numerous, detrimental side effects of different medications/dosage. An additional bonus was helping me to learn and maintain writing with my left hand. 15. Take breaks/holidays whenever feasible. Hotels with a pool and providing full board with a nearby beach/promenade to facilitate exercise/walking are ideal. I enjoyed our family sun holidays in Lanzarote and Belmadena during the summers of 09 and 10. I also took a very beneficial retreat in Cloona, Westport in August 09. This break introduced me to the benefits of raw, vegetarian food and yoga. It was here that I adapted my positive statement “I have the power to heal and be happy”. I employ a brief yoga session every morning to (try to) reinvigorate the mind and body. 16. Static balance is best improved by a combination of balance and core exercises. I increased the degree of difficulty for balance exercises by performing them with my feet closed, barefoot, on a balance foam pad (akin to standing on a wobbly mattress), with eyes closed, on a wobble board and by searching google for advanced board exercises. Dr Duffy indicated that whereas imbalance was primarily symmetrical on wobble boards it was more random and therefore better on foam pads. With balance exercises it is especially important to ensure safety is maintained throughout. 17. Dynamic (mobile) balance is more difficult to achieve indoors. Walking, treadmills (slow), cross country skiing exercise machines (without hands), threading water (chest high) in pool/beach, foam pads and wobble boards can be helpful. Hard beach sand is arguably the safest surface for one’s initial dynamic walking exercises. I found the wild isolation of the beach on the North Bull Island to be particularly refreshing. I discovered, from walking on pavements, that small paving slabs and freshly laid tarmac provided a safer (better grip) walking surface than large slabs, cobblestones or cement. After early morning school runs I regularly walked (and rested) around the tranquil pavement of Blessington Street Basin in the heart of Dublin City centre. Videos on You Tube demonstrating these exercises are especially helpful. One could start by searching under “stroke rehab”. 18. Keep your friends informed of developments. What amazed me most was the goodwill and generosity of people towards me and the family when the ABI struck. Many wonderful people have nurtured my health. I am very grateful for all the kindness we have received. It is very important for one’s own mental wellbeing and therefore recovery that one makes every effort to meet positive, amusing people on a regular basis. Fortunately, my friends were hugely supportive, tactful yet non intrusive. Every day that I received a message (text, e mail, letter, card, present etc) reinforced who I was before the ABI. The power of this unconditional support gave me the courage to face the challenges of recovery. Unintentionally, I also became a welcome recepient for jokes etc. Well intentioned but negative/stressful people can drain the little energy you have. To minimise stress and physical inconvenience I chose not to answer landline phone calls and unexpected rings on the door. Instead, advanced texting/ e mail have become my modus operandi. 19. Honour the healing power of sleep. Respect the brain’s need for plenty of rest. The need for regular periods of rest cannot be over emphasised. One often is not aware of the level of exhaustion until a bed rest is taken. My appreciation of the importance of rest is greater now than ever. Bed rest during the day, without sleep, is often just as satisfactory providing one’s eyes are closed to sensory stimuli. Sleep is very important as it allows fatigue to abate and renews both alertness and energy levels which are necessary to tackle each day. The consequences of a poor night’s sleep are a very significant deflation of both mental and physical functions. Medication including natural herbal remedies, tryptophan rich foods and moderate mental stimulation such as reading can all assist this important process. If I can’t fall asleep at night then I consciously loosen my jaw and then proceed to pass out. I try to avoid going to bed until I am sufficiently tired to do so and have made sure to get up early, where possible, to prevent the harmful effects of rumination. This dwelling on negative thoughts is stressful and can deflate mood. Internal verbal analysis is not ideal behaviour and for the sake of one’s mental health it is important to keep these negative thoughts in check. 20. Make sure to seek a second opinion on your cavernoma(s), especially if symptomatic. This is imperative. It is advisable to store your MRI scans on disc to facilitate proper assessment by a recognised neurosurgeon. Gradient echo MRIs provide the best resolution for cavernoma diagnosis. Gadolinium dye injection can be used to enhance MRI contrast. International experts and local/national neurosurgeons can provide second opinions. Submission of the E112 application may allow overseas financial assistance within the European Union. While MRIs remain the gold standard for cavernoma definition CT scans remain the best at detecting bleeds. For those patients with a history of cavernoma bleeds and neurological deficits of unknown cause and who require monitoring CT scans may also be considered. 21. Because of the trauma of an ABI the patient’s brain circuitry is rewired. This means that the patient will have (whether he/she likes it or not) a shifted perception of the world with different likes, dislikes and interests. Damage to either or both hemispheres can result in a conflict between what we think (left) and what we feel (right). I like to think of the left mind governing our work, researcher, judging and masculine thoughts whereas the right hemisphere regulates our holiday, diplomatic, perceiving and feminine minds. In my case the left hemisphere was damaged by the strokes. Resurrection of the damaged side over the now dominant hemisphere is an ongoing process. The right mind accurately decodes emotion and is socially adept. It is the observer, higher consciousness and the wiser person. The left hemisphere is excellent at organising information taking responsibility for describing, judging and analyzing everything. Since my ABI I find organisational and physically/mentally challenging domestic tasks to be difficult. Rushing is particularly stressful as it invariably requires one to speed up doing things which have become difficult. I am most at ease relaxing in an armchair with my elevated right foot at rest. Life has had to become minimally simple. 22. The following books were helpful to my recovery: My Stroke of Insight by Jill Bolte Taylor, Dipped into Oblivion by Sacha Bonsor and The Brain that Changes Itself by Norman Doidge. 23. Relaxation therapy such as yoga, massage, listening to music, Tai Chi, floating in water, showering, ocean breezes, the creative arts, walking in nature and meditation are subjectively beneficial to the recovery of both mind and body. Pets, especially those that enjoy being petted, are a pleasant distraction. With this in mind we got two lap cats, Queen and Chloe, whose mischievous nature is a constant source of family entertainment. 24. Brain training tools are beneficial to cognitive recovery. I also took up learning a new language to stimulate cognitive redevelopment. I am in my second year of learning Italian and enjoy the whole experience. Daily reading, browsing the internet, doing crosswords, playing sudoku, board games,etc. Verbal and written communication with other people can all stimulate your intellectual network In the Autumn of 2010 I volunteered to coordinate adult player subscription collection for the 2011 season by e mail. I was grateful for the able assistance of the club’s administrative staff to complete this “messy” task. 25. Imagery appears to be an effective tool for regaining the ability to perform physical goals. By dreaming of how to achieve a particular task it becomes easier when attempted. It is now widely used in the sporting arena whereby athletes visualise their performance beforehand. In the ABI recovering environment such “visualisation” can keep the neuronal circuitry alive until the body is ready to make it a reality. 26. Avoid blood thinning or anti – clot medications including Aspirin and Disprin. I naively took Anadin tablets for several months before my first bleed to relieve the symptoms of headache etc. A cavernoma pen pal of mine suggests Viagra may have a similar risk. 27. Hand exercises involving keys, texting, writing, laces, eating, drinking, clothes pegs, coins, scissors, tearing paper, chopping, tweezers, putty, shaving, darts, buttons, zips, etc can be part of a beneficial home exercise programme to improve dexterity and strength. I have found typing on my laptop to be especially good for right hand tone renewal. I am currently playing “ant smasher” on Gavin’s new ipod to improve coordination in my hand. I began mirror box therapy in early May 11 and from initial, brief but daily use would recommend this visualisation procedure, at relatively low expenditure, for improving motor movements and reducing ataxia in affected hands. 28. The new website http://www.researchandhope is particularly good for information about modern stroke management therapies (can also apply to cavernoma patients with neurological conditions). The UK website “Different Strokes” is extremely informative about all aspects of stroke support for under 65s. 29. The Cavernoma Alliance UK website and its sister organisation in the USA Angioma Alliance are very helpful and enormously informative. I would also recommend joining a cavernoma hub to share experiences and knowledge. 30, Keep up to date with research and developments in the field (Neurology). The Different Strokes newsletter is particularly informative. Recent research has shown that in traumatic brain injuries and strokes that have caused cells to die new neurons may be generated from neural stem cells and travel towards the site of the injured area. Kings Hospital in London has shown that the self repair process of neurogenesis can be enhanced by physical activity, learning new tasks and consumption of blueberries, omega oils and 10 mg zinc daily. In contrast, a high fat/calorie diet, ageing, stress and sleep deprivation adversely affect neurogenesis. 30. Embrace your garden. That is if you don’t live in an apartment! This is particularly so if you are home confined due to disability or mobility/balance problems. Gardens, particularly those in the rear/ with some privacy/ south facing etc can become a sanctuary for relaxation/contemplation/sunshine/fresh air etc. A radio, reading material, music etc can be a good companion. In essence your garden can become an oasis or additional room where the only limit to enjoyment is one’s imagination and relevant privacy legislation! Let’s face it immediate family members might be glad of the break too. 31. Distance the past. It is helpful for your redevelopment, following an ABI, to make a decision that one will never return to some aspects associated with the past. To fully accept one’s new predicament one should try to ditch the old self. For instance, after 3 years I reluctantly realised that I would never wear many of my clothes again. The deliberate placing of these garments and footwear in a charity bag helped this adaptation. Leisurewear it will have to be. 32. I have to admit that I have some reservations about alternative medicine. However, the provision of relaxation may be therapeutic / beneficial through stress relief alone. I had been going for acupuncture for at least 2 years prior to my ABI. It was largely to provide some relief from the headaches, fatigue and facial spasms that I was regularly experiencing. I now realise that the cavernoma was active long before it bled. My therapist, Tina, has been enormously helpful and regularly included reflexology and homeopathy. As she searched and prodded my skin with needles she mentioned that I had the “heart of a lion”. I didn’t tell her that I had a packet of Kleenex on standby. In May 11 I returned for another course (8 sessions) of acupuncture to revive and reenergise a body weighed down by a stroke, shingles, head cold and a recent dose of a gastric flu. The shingles rash eventually disappeared within 2 weeks of commencing this treatment. However, it soon returned. This latent virus will probably hibernate in my ganglia but the shingles should hopefully soon disappear with the return of energy. 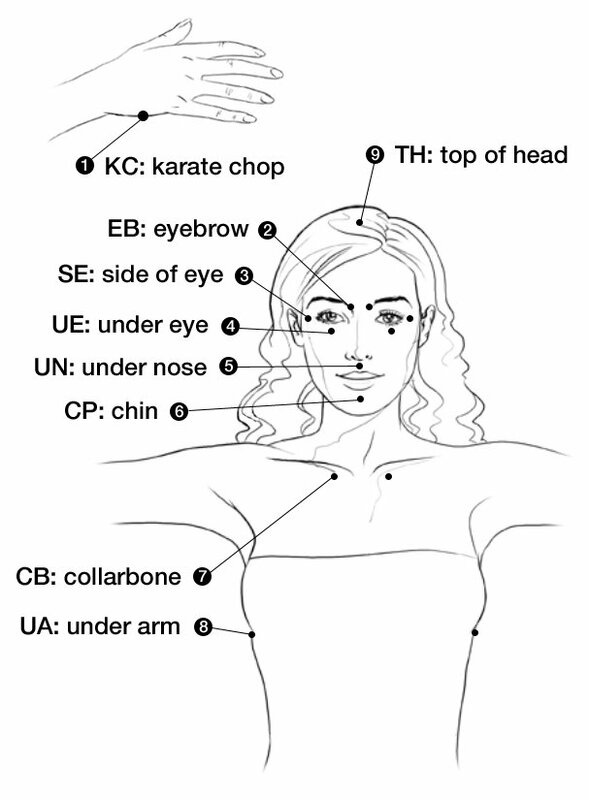 It was interesting that my Neurologist also recommended acupuncture for energy restoration. Whether it should be considered as curative, preventative or restorative is subjective. 33. Listen to or read about other people’s stories of success. They are invariably positive. They have often recovered from poor health or triumphed over adversity in life. I have found the endurance of Antarctic explorers and sports persons to be particularly inspirational. Given my background and the relative blanket coverage of sport on television my heroes can be found closer to home. The recent May bank holiday weekend comes to mind. Firstly on Saturday the Leinster rugby team brilliantly overcame the class of Toulouse. Then the following day the Dublin hurlers tore up the form book to beat fancied Kilkenny and win their first National Hurling title in 72 years. The last time, in 1939, coincided with Hitler’s invasion of Poland! Both teams, although showing no little skill and commitment, were united by one common denominator. Belief. It’s strange, but this is possessed by some but available to everyone. Belief in plasticity has got me this far. I know it can go further. The book “The brain that changes itself” is highly recommended. What amazes me is that the sophisticated machinery in sceptical creatures (humans) is governed by something that isn’t palpable – the mind. The adaptability of the brain is truly remarkable. Progress is tortuously slow but with patience literally anything is possible. ABIs should aspire to becoming achievers too. The principle of mirror therapy (MT) is the use of a mirror to create a reflective illusion of an affected limb in order to trick the brain into thinking movement has occurred without pain. It involves placing the affected limb behind a mirror, which is sited so the reflection of the opposing limb appears in place of the hidden limb . A Mirror box is a device which allows the clinician to easily create this illusion. It’ is a box with one mirror in the center where on each side of it, the hands are placed in a manner that the affected limb is kept covered always and the unaffected limb is kept on the other side whose reflection can be seen on the mirror. The patient places the good limb into one side, and the stump into the other. The patient then looks into the mirror on the side with good limb and makes “mirror symmetric” movements, as a symphony conductor might, or as we do when we clap our hands. Because the subject is seeing the reflected image of the good hand moving, it appears as if the phantom limb is also moving. Through the use of this artificial visual feedback it becomes possible for the patient to “move” the phantom limb, and to unclench it from potentially painful positions. Chan et al (2007)  allocated 22 patients with Phantom Limb Pain (PLP) into a mirror therapy group, mental imagery group and a covered mirror group (control) . They reported that all patients in the mirror therapy group experienced reduced PLP. This was not the case in the other two groups. The study did not control potential biases and its methodology was not described in detail, so weakening the power of its findings. In 2011 a large scale review of the literature on mirror therapy by Rothgangel  summarized the current research as follows:”For stroke there is a moderate quality of evidence that MT as an additional intervention improves recovery of arm function, and a low quality of evidence regarding lower limb function and pain after stroke. The quality of evidence in patients with complex regional pain syndrome and phantom limb pain is also low. Firm conclusions could not be drawn. Little is known about which patients are likely to benefit most from MT, and how MT should preferably be applied. Future studies with clear descriptions of intervention protocols should focus on standardised outcome measures and systematically register adverse effects”. A further review  of current approaches in the treatment of PLP concluded that the benefits of mirror therapy appear to be limited to patients who suffer from cramping and muscular-type phantom pain . They noted that despite the findings of one RCT, there was no systematic evidence to support the use of this modality and even some suggestion it could be counterproductive. However, this may be due to study design, choice and size of sample and application of the modality . Diers et al (2010)  noted that applying MT as part of a sequence of modalities appeared to produce positive results against applying it in isolation . In an RCT, patients with CRPS1 and PLP showed decreases in pain, and improved function both immediately post treatment and at a 6 month follow-up when using mirror training as part of a sequence of modalities known as Graded Motor Imagery (GMI). Mirrored imagery alone did not, however, activate cortical processes in patients with phantom limb pain. The authors concluded that further research was required to establish the cortical processes underlying MT and motor imagery in order to guide the optimal method of application for these modalities. These findings appeared to support earlier suggestions that whilst mirrored movements may expose the cortex to sensory and motor input, the therapeutic effect is magnified if cortical networks were gradually activated using limb recognition, motor imagery and finally mirrored movement  . This sequence of modalities became known as GMI. Using a single blind randomised control design this approach was investigated with patients suffering with PLP, CRPS and brachial plexus avulsion. Whilst the heterogeneity of the sample was acknowledged, it was argued that cortical similarities exist between these conditions causing a cortical neglect of the affected limb leading to changes in cortical mapping. The sample size in each study was small, but both studies showed significant reductions in pain and cortical reorganisation following a six week program.